This article written by Pastor David H. Petersen was featured on the Lutheran Church Missouri Synod Blog on 02/13/2018. Giving up some small pleasure for Lent, like chocolate or coffee, can be a nice way to remind ourselves throughout Lent that it is Lent. 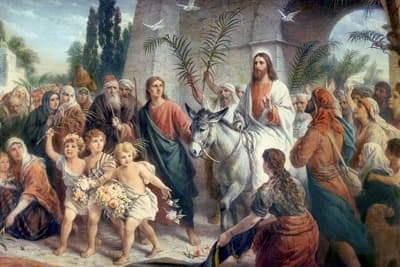 When we reach out for those things we remember that we are denying ourselves in commemoration of Our Lord’s suffering. This isn’t meant to please God or gain His favor. Nor can such a small denial make Lent more meaningful or increase faith. It is simply an attempt to keep ourselves mindful throughout the day that it is Lent. That is a valid Christian desire and discipline. Curbing the flesh is always good. Cutting calories is probably appropriate for almost everyone reading this, and (though I hate to admit it) cutting caffeine would probably hurt few of us either. But Lent isn’t ultimately about giving things up. Its purpose is not self-improvement in the conventional sense. Instead Lent is a season of preparation. We are preparing to celebrate Easter and the Church is always prepared in the same way: by repentance. The Lenten season is the fourth season in the church year (after Advent, Christmas and Epiphany). It begins with Ash Wednesday and is the oldest season of the church year. The original period of Lent seems to have been 40 hours. It was spent in fast- ing and contemplation on the sufferings of Christ. Later it became 30 days, then 36, and finally, in the reign of Charlemagne (about 800 AD), 40 days. Lent originally had one purpose — to prepare candidates for Baptism. For hundreds of years, the Baptism itself took place late Saturday evening or early Sunday morning before the dawn of Resurrection Day, during an all-night vigil. The 40 days of Lent do not include the Sundays. Sundays in Lent — like every other Sunday — were to be “mini” resurrection days celebrating Jesus’ resurrection and not part of the Lenten fast. The 40 days of Lent correspond to Christ’s 40 days in the wilderness. The date of Lent is determined by the date of Resurrection Sunday. 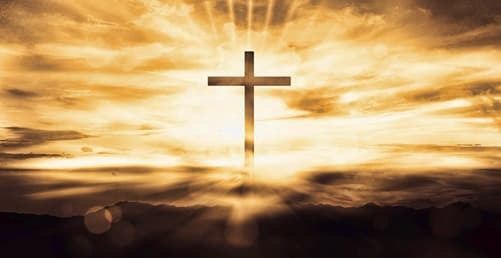 The Council of Nicea (held in 325 AD) determined that Resurrection Sunday would be observed on the first Sunday following the 14th day of the paschal moon. Lent probably comes from the old English word for Spring: Lenten (it may also be related to the German word for the time when the days lengthen: lenz). The organ at Pacific Hill Lutheran Church was built by the Schantz Organ Company of Orville, Ohio, in 1969. What is the most important musical instrument in worship? 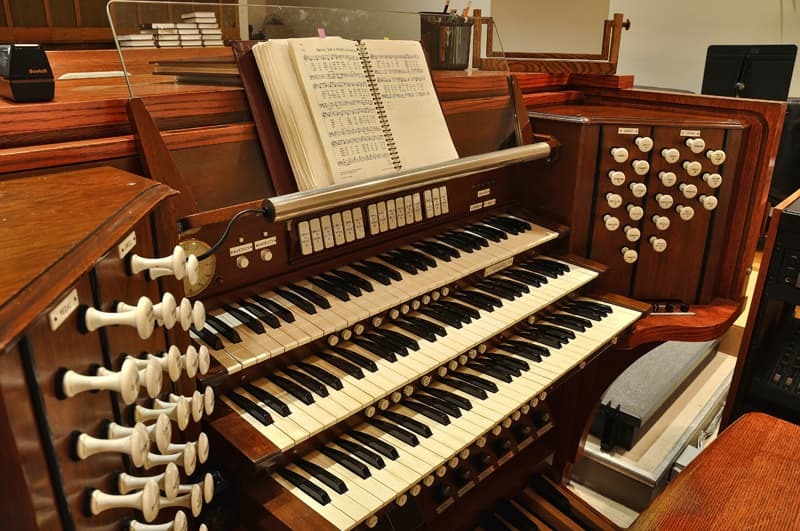 If you were in the late service on December 16 or January 27, you heard the organ malfunction and quit playing suddenly in the middle of worship. It actually served as a good reminder for us all – as wonderful of an instrument as our organ is, it is NOT the most important instrument in worship! On those days, our worship went on in spite of the organ malfunction, sometimes with our beautiful piano accompanying us, and sometimes with only our unaccompanied voices. What’s the most important instrument in worship? You! Your voice - no matter how strong or timid, no matter how in tune or out of tune it may be. The bottom line is this: Christ’s church sings. The Lord himself is our song (Ex. 15:2) and the church sings because God himself sings with us (Zeph. 3:14-17). LUTHERAN HOUR MINISTRIES is a trusted expert in global media that equips and engages a vibrant volunteer base to passionately proclaim the Gospel to more than 100 million people worldwide each week. Through its North American headquarters and 34 ministry centers on six continents, LHM reaches into more than 50 countries, often bringing Christ to places where no other Christian evangelistic organizations are present. But with billions of people still unreacheded with the Gospel message around the world, our work is not done. 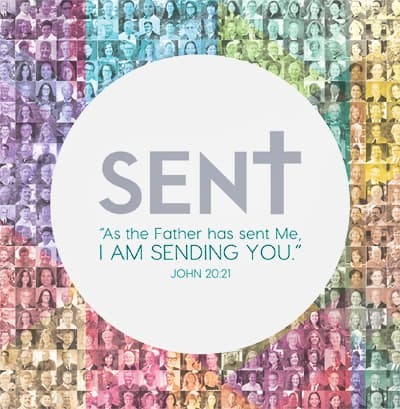 Find out more about SENT. Love is in the air! February is the month when we talk about valentines, love, and showing affection to the people God has placed in our lives. At preschool we have been talking about God’s great love for us. During Lutheran Schools Week we learned that Jesus especially loves children. And every day we talk about how Jesus loved all of us so much he died on the cross for us. The best way we can show love to others isn’t by purchasing flowers or gifts, but by making sure the people in our lives know about the eternal life that was pur- chased for us by the death and resurrection of Jesus. That is the best valentine of all. Rev. 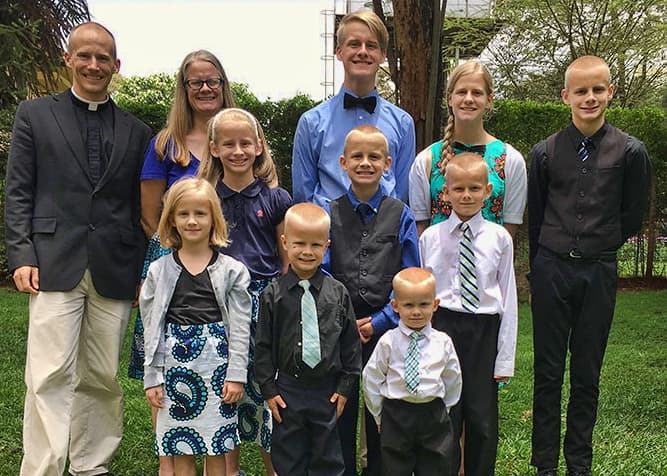 Jonathan and Mrs. Anita Clausing & Family, Emil, Ellie, Ernie, Eunice, Ethan, Eric, Eileen, Elijah, Emmanuel are a missionary family of the Lutheran Church - Missouri Synod serving in the country of Tanzania. Pastor Drebes studied with both Anita and Jonathan in college and seminary. Greetings in Christ from Moshi, Tanzania. The new semester at St. Peter Theological Seminary in the nearby village of Himo is about to begin, and I’m using these last few days before I begin teaching to send out thanks to all who have supported me this past fall. On behalf of the congregations and future pastors of the Lutheran Church in East Africa, thanks so much for your $500 donation. The Rev. Dr. Michael L. Kumm, is a retired LCMS pastor from Dakota Dunes, South Dakota. He currently serves as the Chairman of the LCMS Board of Directors, St. Louis, MO. Dr. Kumm has served churches in South Dakota and Southern Illinois as well as on the professional staff of Concordia Seminary, St. Louis, Missouri. 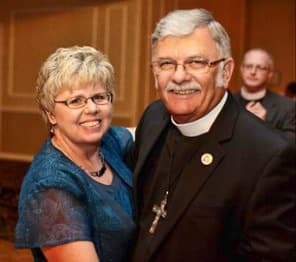 While serving these local congregations, he has served his community as a law enforcement chaplain and has served as the District Pastoral Advisor for the Lutheran Layman’s League; Circuit Counselor and as a delegate to Synod conventions. Due to his expertise in the broadcast media, Dr. Kumm also served as the Interim General Manager of the Synod-owned KFUO radio station. 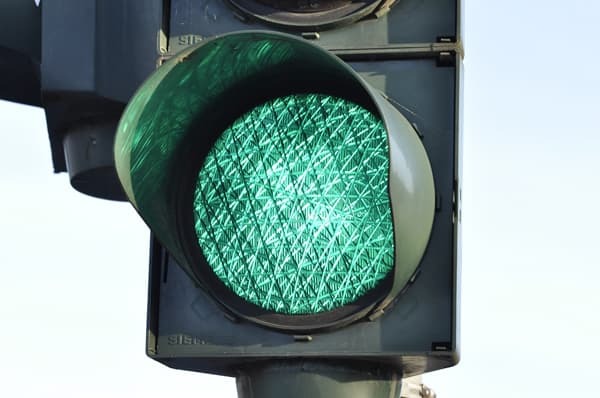 Additionally, Dr. Kumm serves as Chairman of the Supervisory Board of the International Lutheran Society of Wittenberg (ILSW), a joint corporation of the LCMS and our German partner Church, the SELK. 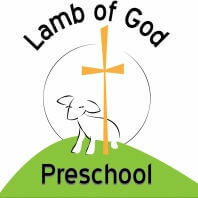 This week Lamb of God Preschool will be celebrating Lutheran Schools Week with other Lutheran preschools, elementary schools, and high schools all across the country and around the world. We are blessed to be supported by Pacific Hills and we are blessed to be able to share the message of Jesus’ love with children every day. Thank you for your wonderful support of our school! Facebook video posted by The Lutheran Church - Missouri Synod from the 01/18/2019 Right to Life March in Washington, D.C. The procession is led by Synodical President Matthew Harrison. Click the Read More button to see various social media posting from the right to Life March in Washington from last Friday.